pmaillot's review"Average, but given the price I wouldn't complain!" 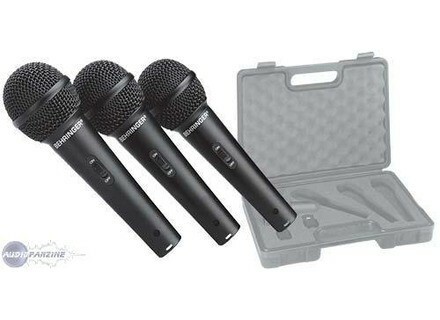 All-purpose mics, with not too much frequency range, no coloration, nor a high price tag. I've had these mics for years without a single problem. They are solid, and although not as good as the sennheiser (sp?) 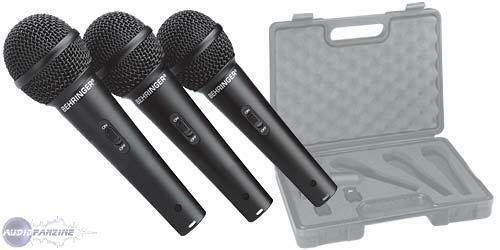 or shure that I commonly use, when I need an extra mic on stage, I'm always happy to have them with me. à Chaud's review"Cheap, you get your money's worth"
Dynamic mic for live speech or vocal applications. When the first one came out, a friend of mine who does sound for big conferences put several on stage and asked me what I thought about them. We found them quite all right. So I bought it and have used for several years the 3 different Behringer dynamic mics (XM8500, XM2000S and XM1800S) as they were made available. To my ear, there's no difference between these 3 mics. They all have the same frequency response curve. I have personally never liked the sound of the Shure SM58 and I prefer the Behringers. From my 8 Behringer dynamic mics, 2 have had problems with the capsule. In one of them, both cables were damaged and the mic ended up in the trash can (together with an SM58). The other one sounded like a baby rattle. A bit of cyanocrylate to glue the grille that protects the grille and all was good again. Given their price, it would be a pity not to take advantage of it. I then switched to a Shure Beta58, and then a Beta87. The difference is clear, but it costs from 10 to 20 times more. The singer had forgotten his microphone so, I bought one of these micro behringer two bullets to replace an excellent Shure Beta 58. And although he did not blush behringer, it takes pretty good for the price. A bit brighter than the Shure (too high) and lack of bass, but it did the trick for troubleshooting. I the boards for quite some time. And for now I must say it was using just a microphone to the animation for shows on an old sound. But they were used for 2 weekends to record our demo 7 titles. Excellent value for money.